Duration Windows have the facility to manufacture our aluminium products in any RAL colour. RAL colour products are painted to your individual requirements, and can even be dual-colour - different colours inside and out. With bespoke RAL colours you can choose between a Matt, Semi-gloss or Gloss finish (subject to availability). We offer a range of over 200 different industry standard RAL colours. This Polyester powdercoat paint is baked onto the aluminium, to create a high quality, durable and tough finish that can withstand the rigors of all weather conditions and living in the UK. We only use industry approved specialists to paint our RAL colour products. The high quality materials and process used, mean that we still offer a 10 year guarantee on all RAL painted products. If you choose a Special RAL colour it will extend your lead time and increase the price, this is due to the fact that all RAL coloured products are bespoke and painted upon demand, none of our aluminium profiles are held in stock in any of these colours. You will also incur a set up fee. Please be aware that RAL colours may vary slightly from one paint supplier to another, and from one batch to another. This is not an exhaustive list of every RAL colour. Please note that due to technical reasons on-screen representations of colours may vary with actual painted colours. The colours shown here are intended as a guide only, we cannot be held responsible for any discrepancies between on-screen and actual painted colours. You should verify your chosen colour against a colour swatch chart. 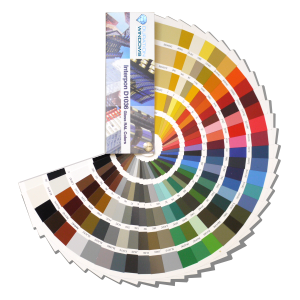 Contact us to request a RAL colour swatch chart.